NEW! 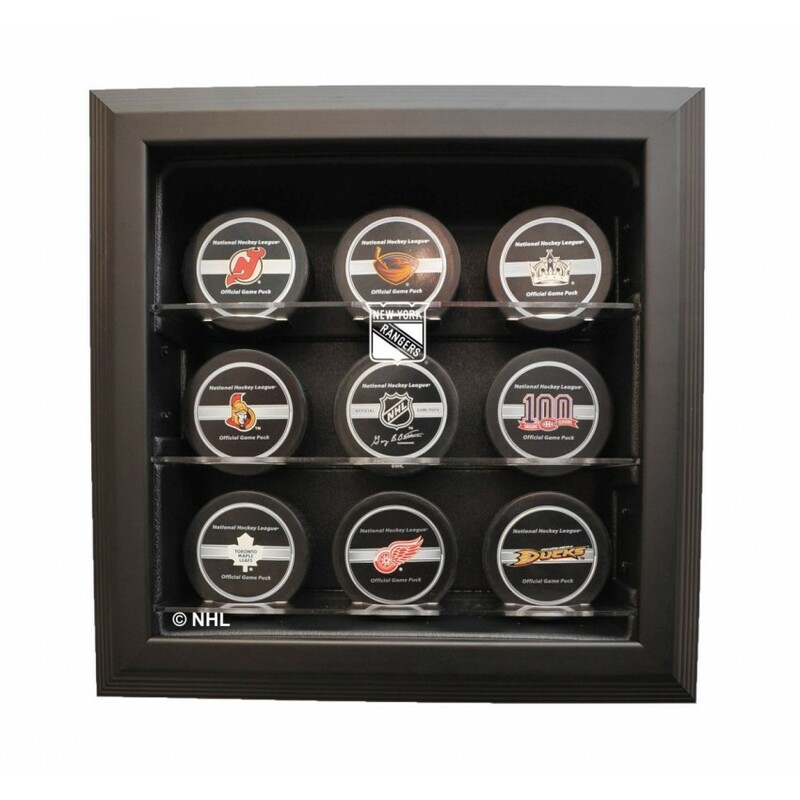 Our cabinet style 9 Puck black framed display case will showcase your 9 autographed pucks with style. You can choose to permanently engrave the NHL League logo or your favorite NHL team logo. Measures 13 1/2"W X 4 3/8"D X 13 1/2"H. Pucks not included. Made in USA. The Purdue Boilermakers Golden Classic basketball display case comes with a black acrylic base, gold..
Each collectible comes with an 8" x 10" photo of Northwestern University sublimated onto a black pla.. This Louisville Cardinals mahogany logo basketball display case features an antique mahogany finishe.. The Caseworks' Coaches Choice single baseball display case includes a gold ring and gold risers supp..